Those with limited mobility are just like every one else. They go to job interviews, attend school dance, head to work, and feel the need to dress to impress. But when it comes to clothing, it seems as though comfort and adaptability is not considered for all. However, MagnaClickTM a new magnetic, self-buttoning dress shirt by Van Heusen, is changing the game. This Valentine's Day why not get the guy you love a shirt that is comfortable and easy to put on! I recently received one of the Van Heusen MagnaClickTM dress shirts for my husband and with one click he was smitten with it. If your husband has an inner Superman in him like mine does, he well enjoy opening the shirt with one fell swoop to expose his shirt or possibly his Superhero outfit under it. 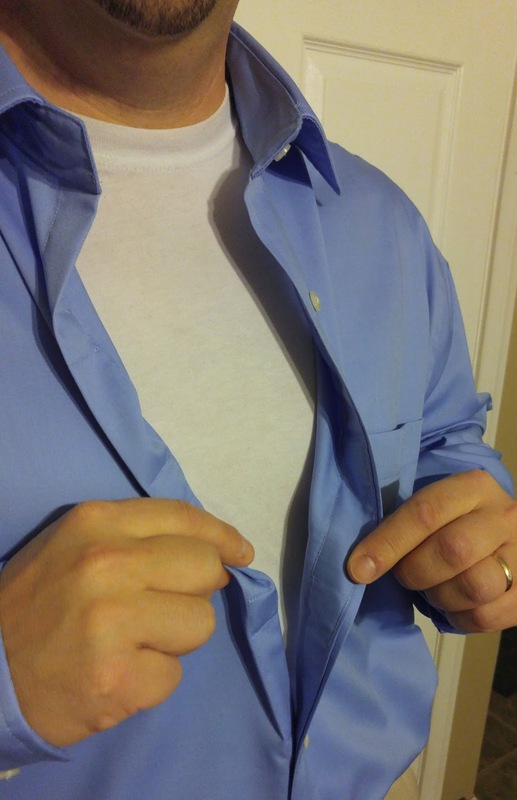 To the unknowing eye, the MagnaClickTM technology looks like any other dress shirt: same collar and cuffs and same row of white buttons down the front. But, those buttons are merely for appearance. Hidden inside each dress shirt incorporating the MagnaClickTM technology is powerful magnets that link together for a secure closure. No more fussing with buttons. This shirt features hidden magnetic closures. It’s the perfect choice for those with limited dexterity, or those who just don’t have the time to hassle. 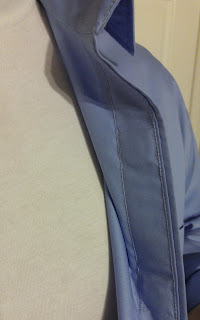 Just place the top placket over the bottom one. When you hear the click, you’re good to go. 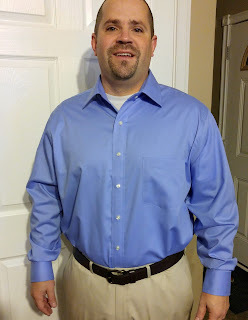 There is no visible difference between the Van Heusen MagnaClickTM dress shirt and a normal Van Heusen dress shirt. This shirt is stylish with the added convenience of easy closures. No more fumbling trying to button those wrist buttons! So this Valentine's Day why not forgo the chocolate and get your hubby something he can use and will love. Purchase at Amazon, Kohls or JC Penney.